I'd always wanted to explore a gold mine, but was nervous about going down deep into a mineshaft. 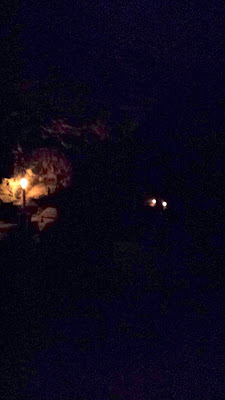 Carman's Tunnel in Maldon was the perfect solution - a tunnel that extends across a mountain, rather than descending. 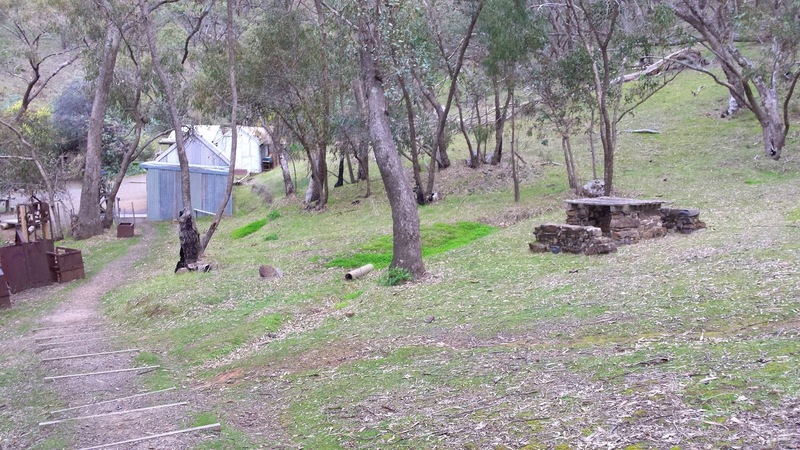 The tunnel was built during Victoria's Gold Mining boom of the 1880's. 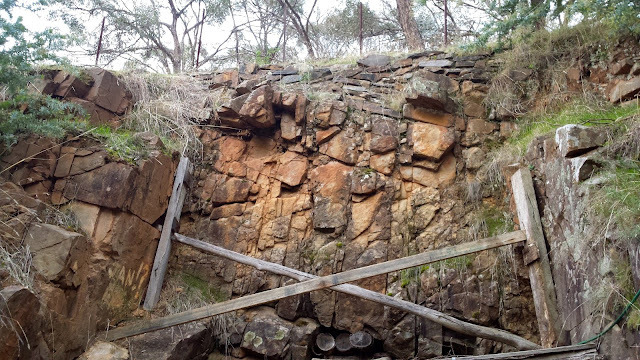 When most other mining companies were digging deep, the Great International Quartz Mining Company tunneled through the granite in a horizontal line, hoping to strike a gold reef. 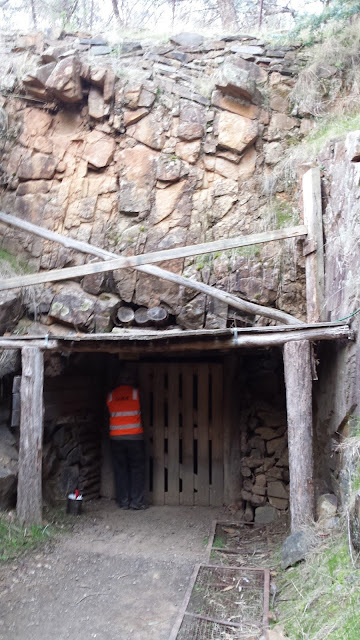 The mine was abandoned after a couple of hard working years, which yielded very little gold. 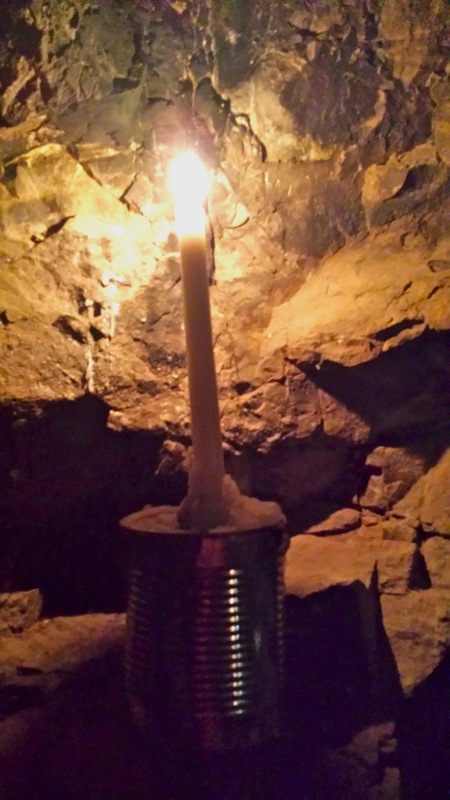 The 570m tunnel is candlelit, and shows how the miners worked in the dim conditions. 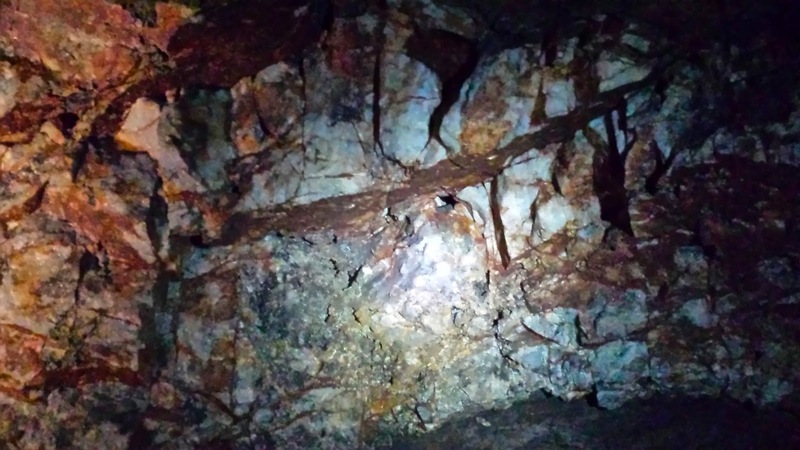 Our tour guide was very knowledgeable of the mine and the local area, making the tour interesting for both the adults, and the children in our tour group. 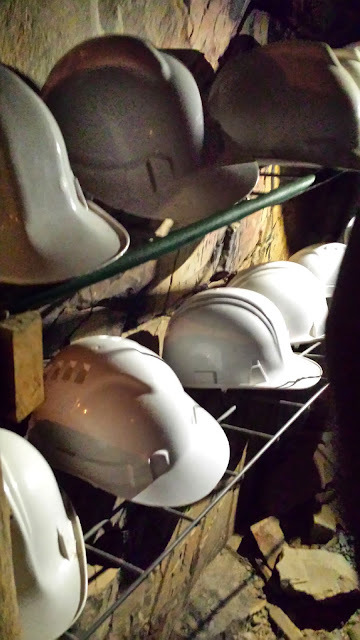 Hard hats are required to be worn, adding to the theatre of the experience. 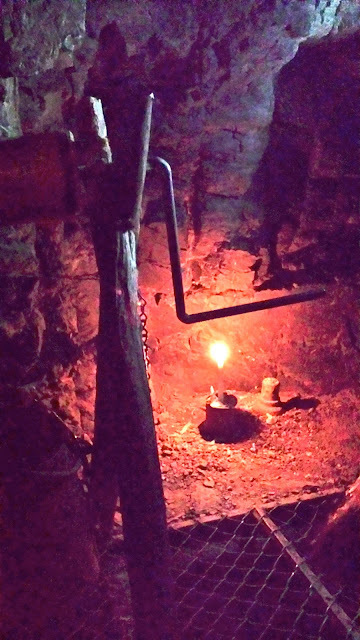 The temperature inside was a comfortable 17 deg and stays that way all year round - a lot warmer than it was outside on the freezing cold winter's day that we visited the mine. Over the years, during hot summers, the tunnel has been used by the locals for a variety of reasons. 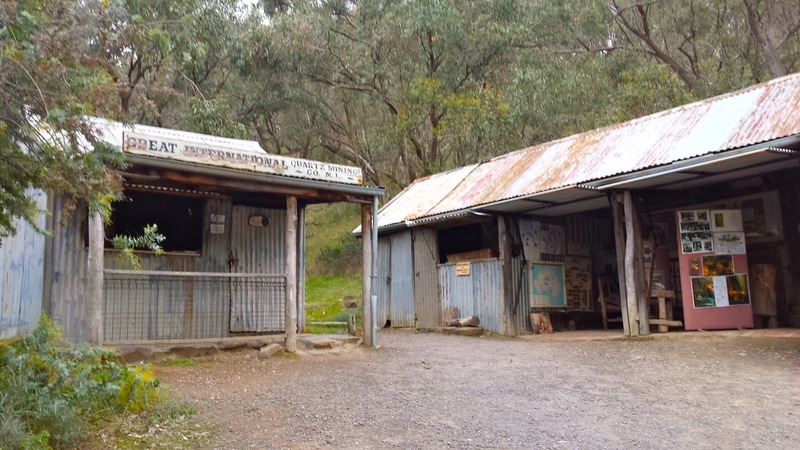 The hospital used to keep sick babies cool during heatwaves, farmers have used the tunnel to store produce and mobs of kangaroos have been known to chill out at the tunnel entrance, where the cool air from within provides relief from the hot weather. 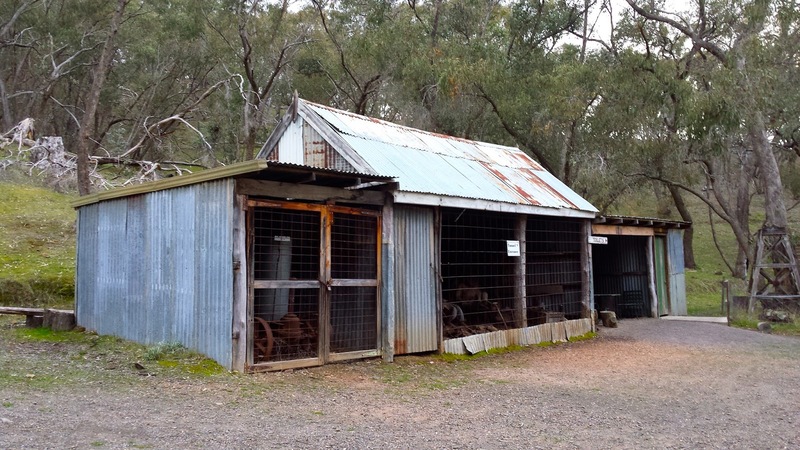 The tunnel was opened as a tourist attraction in the 1960's, the buildings on site were built around that time, but the museum has original mining artifacts and information boards and there is mining equipment around the grounds.